The holidays are the one time of year I get excited about actually being in the kitchen. There are so many yummy treats and warm comforting foods to make. 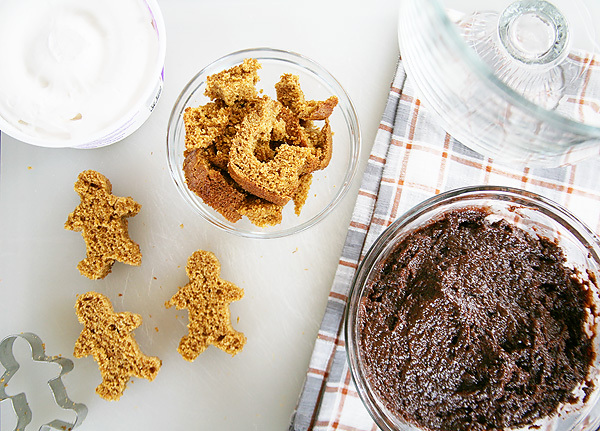 Top of the list is gingerbread! It just makes the house smell SO GOOD! Not to mention it tastes all sorts of yummy. 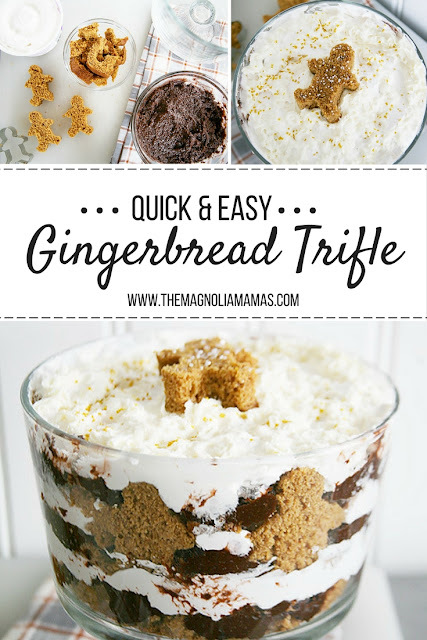 Today, I'm chatting over on Savvy Sassy Moms about one of my favorite holiday desserts - Gingerbread Trifle. It is super easy to make (because if you know me by now, I am all about the easy), and doesn't take much prep time at all. It's a total crowd pleaser, and travels well if you have to bring a dessert to a holiday party or travel on the holidays. 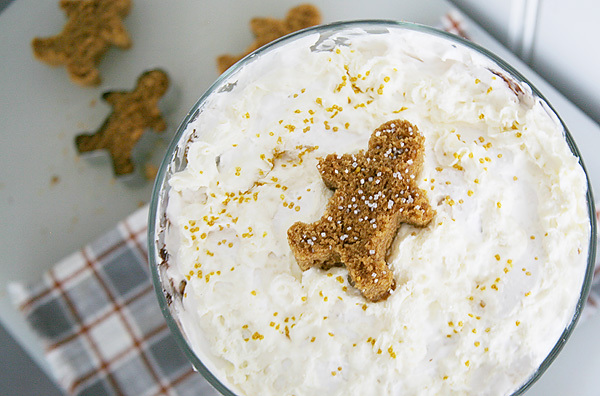 In just a few quick steps the Gingerbread Trifle is ready to go and ready to serve! 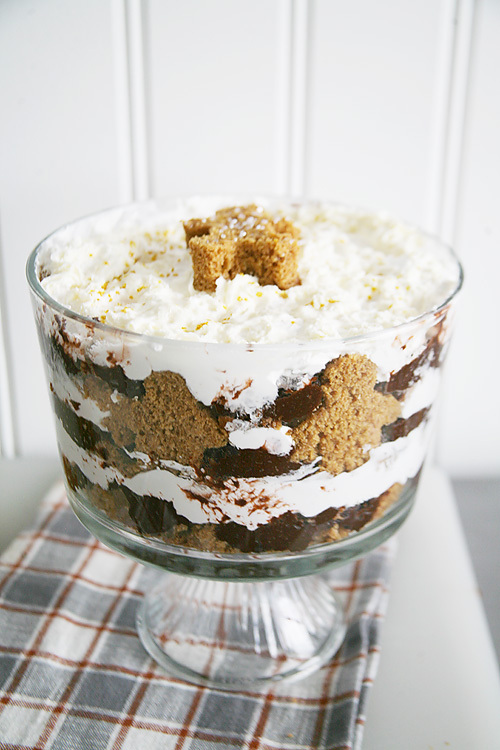 What are some of your favorite holiday dessert recipes? 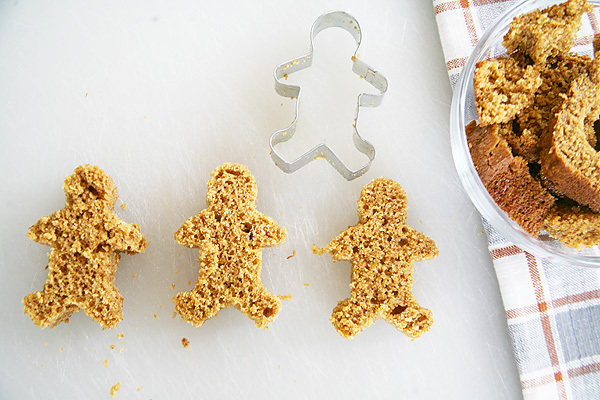 Do you have a favorite you like to make this time of year? Share with us!